Derek Bosteter has gone through the vigorous process of becoming a Vinyl Siding Institute (VSI) Certified Installer. Through the VSI Certified Installer Program, experienced professionals receive thorough training on proper, industry-approved vinyl siding installation techniques. VSI’s certification process involves classroom training and a written examination given by a VSI Certified Trainer. examination. All VSI Certified Installers must apply for recertification every three years, to ensure that they stay abreast of the latest application techniques. 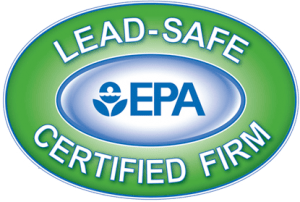 Bosteter Windows and Siding is a Certified Lead Safe Company with the EPA, Minnesota Department of Health. If you’re concerned that lead may be present during your next home improvement project rest assured that all appropriate lead safe practices will be followed. At Bosteter Windows and Siding we treat all pre-1978 homes as if lead is in fact present. We take this extra step to assure the safety of our valued customers. 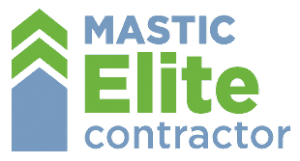 We Are a Certified Mastic Elite Contractor – and That’s Good News for You! Bosteter Windows and Siding has been certified as a “Mastic Elite Contractor” by Mastic Home Exteriors, one of the nation’s leading manufacturers and suppliers of high quality siding materials. Of the thousands of home contractors across the United States, less than 400 companies have received this honor. As a Mastic Elite Contractor, Bosteter Windows and Siding can offer our customers additional benefits when they purchase the complete Mastic elite siding system, including Mastic’s industry-leading warranty program. It is one more way that we are delivering superior service to our Minnesota vinyl siding customers. Call Bosteter Windows and Siding 507-457-3382 today for a free in-home estimate on your siding project.